going on in the courts. A jury acquitted a man of all charges related to a 2014 carjacking involved shooting. Terrance Munden was one of three men who were up against federal prosecutors of the Eastern District of Pennsylvania, U.S. Attorney’s office. In June 2014, pharmaceutical delivery man Ricardo Tuesta was making a stop at Wellness Pharmacy on Ridge Avenue. 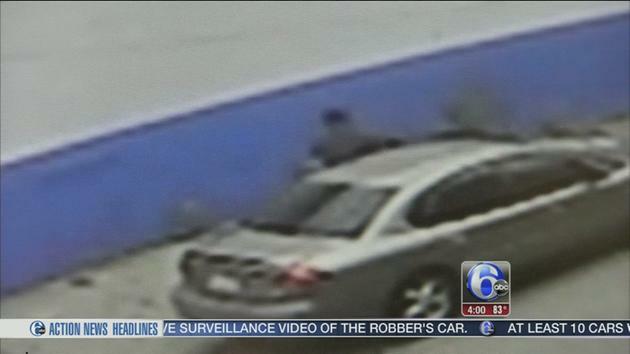 Surveillance video show two men in a gold Ford Taurus approach Tuesta’s vehicle. What was not shown on video was the altercation that ensued inside Tuesta’s van. During the melee, a gun went off and shot Tuesta in the hand, which caused him to lose a portion of his finger. Police arrested Charles Wardlaw who claimed the other men involved included Robert Hartley and Terrance Munden. Prosecutors presented an ATF agent expert to testify about the defendants’ cell phone pings off of cellular towers. The agent claimed these pings off of cell phone towers matched Tuesta’s route. One of two vehicles that allegedly followed Tuesta’s route belonged to Wardlaw. According to Munden’s lawyer William J. Brennan, Wardlaw named Munden after Wardlaw was arrested and agreed to cooperate with authorities. “Wardlaw is a career criminal, “ said Brennan. Wardlaw knows the system and has also been charged in a string of home invasions in the suburbs of Philadelphia. Wardlaw pleaded guilty on charges relating to his role in the pharmaceutical carjacking. Police learned early that Hartley shot Tuesta, but it was up to the jury if they would find Munden guilty. The jury was made up of 11 women and one man from nine counties of the Eastern District of Pennsylvania. The jury had more than 27 questions, the most Judge Timothy Savage has ever heard. 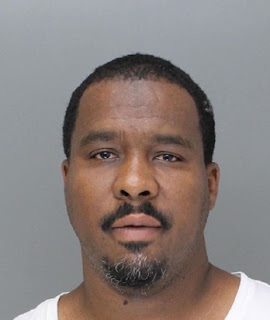 The verdict came back around dinner time on May 5, acquitting Munden of attempted carjacking, attempted robbery, interference with interstate commerce, aiding and abetting, and using and carrying a firearm during and in relation to a crime of violence aiding and abetting. The jury concluded that the identification of Munden by Wardlaw was suspect. Hartley was found guilty on all charges relating to the offense. Brennan is pleased with the verdict, the hard-working jury and the prosecution. “The prosecution did a marvelous job. The case was bitterly fought,” said Brennan. But, Brennan is still not pleased with Wardlaw. “Wardlaw was a polluted source,” said Brennan. After the preliminary hearing on May 5, a trial was scheduled later this month for a janitor for allegedly stealing a pilot’s gun at Philadelphia International Airport, according to the U.S. Attorney's office. 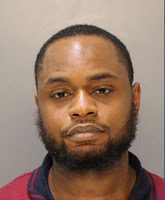 Victor Sheard, 31, of South Philadelphia allegedly stole the bag containing the firearm of an air marshall after the marshall mistakenly left the bag in the men’s room on March 12. Flights were delayed as TSA searched for a person of interest. The gun was found within two hours locked inside the back of a custodial closet and was still in a secure position inside the pilot’s toiletry bag, which was located inside of a black trash bag, CBS reports. Sheard was initially charged with theft-unlawful taking, theft-receiving stolen property, violation of the Uniform Firearms Act and other related charges. Sheard will stand trial for lesser theft charges. 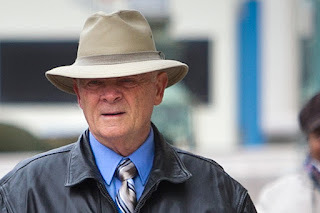 Walter Sasse coming out of court this week. The former Philadelphia police officer who was convicted earlier this year of molesting a teenage girl was sentenced to less than four years in prison on May 6, according to the District Attorney’s office. Yes, that former Philadelphia mounted police officer who was in a relationship with a 14-year-old he met at Courtesy Stables in Andorra that has appeared in multiple trial roundups. Walter Sasse, 78, will serve 11 ½ to 23 months in prison followed by 10 years of probation. Sasse will be on house arrest until he files an appeal, where he then will be transported to prison. The sentencing guidelines for Sasse’s charges call for a minimum of four years. According to Philly.com, Common Pleas Court Judge Steven Geroff struggled with determining Sasse’s sentence. Geroff strayed from the guidelines due to Sasse's previously upstanding behavior and public service. The two dozen letters the judge received from those who claimed they trusted Sasse around their own children may have had influence on a lighter sentence. One question about Sasse's sentence , will he serve only 11.5 months house arrest, then serve out this probation of ten years at home? Good and fair sentence given his years of service and letters from parents of other children he taught. Prison would have done him no good.